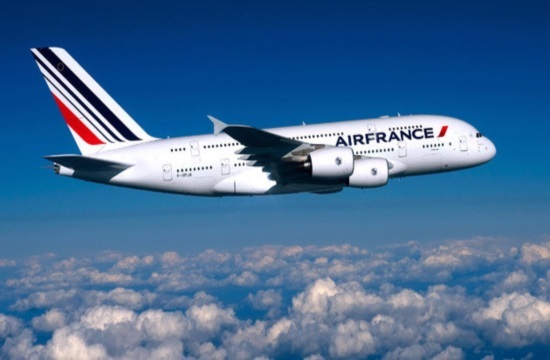 Air France on Tuesday announced that it will continue to operate direct links between Athens and the airports of Nice, Toulouse and Marseille in France this summer, from July 20 until the end of August, according to ANA. The airline will also inaugurate a new direct flight between Marseille and Heraklion airport in Crete island. The flights from Nice will be take off twice a week (Tuesday and Saturday), those from Toulouse will fly out three times a week (Monday, Wednesday and Thursday) and those from Marseille twice a week (Wednesday and Saturday). The Irakleio-Marseille flight will depart on Sunday, Tuesday and Thursday. In an announcement, the airline cited that there was high demand for such medium-distance destinations during the summer months, among leisure travellers going on summer holidays, while the reduced traffic of passengers travelling for business allowed the airline to use its fleet for flights from regional airports. "In this way, Air France is optimising the use of its fleet and increasing capacity on its medium-stance network," the airline announcement added.